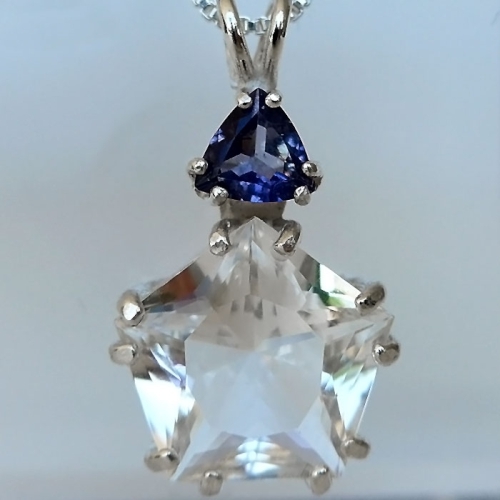 Dimensions (HxWxD): 1" x 0.75" x 0.375"
This beautiful Star of Venus water-clear quartz pendant is crowned with a translucent Iolite trillium gemstone. It comes with a sterling silver chain which sits at the thymus, between the throat and heart chakras where it will be of the utmost benefit. It comes in a velveteen jewelry box for safekeeping. This pendant's lovely new design is a five pointed star, celebrating man's union with earth and creation through the harmonious interaction of the five elements. According to the designer, Paul Jensen, this Star of Venus pendant is a wonderful tool for shedding burdens and for revitalization. It brings clarity and balance, insight and aligment with the Divine flow. It has been historically used for protection and invocation. The fivefold symmetry of the Star of Venus pendant, reflected in the sacred geometry of the pentagon, is found throughout nature. Look closely at the leaves on trees and shrubs in your yard. This spring, make a list of the many flowers with five petals, and a pentagonal geometry. They are all either compressed or elongated pentagonal structures. Observe the blueberry, pear, apple, starfish, or the microscopic diatoms that populate the earth's crust. They all exhibit a pentagonal structure. 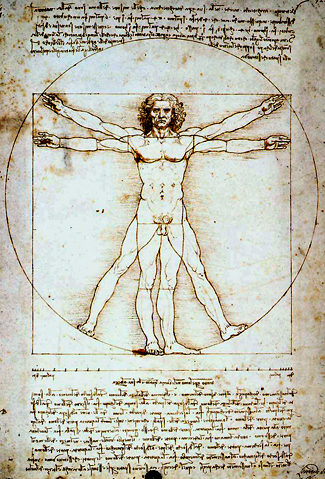 As the noted sacred geometrician and Roman architect Vitruvius observed, the human body, with its five senses, five extensions from the torso, and five fingers and toes, is a beautiful example of the pentagonal structure common to many living beings. The Pentad is associated with excellence, power, beauty and efficient design structures, and these associations are enhanced by the fact that Nature has employed the pentagon throughout Earthly creation, especially in the plant and animal kingdoms, to figure forth living, sentient beings of a myriad of types. It can hardly be a coincidence that Pan, the Greek God of Nature and fertility, is symbolized by an upright five-pointed star. Venus, the Roman Goddess of beauty and fertility, sexuality and love, in her role as a planet in our Solar System, travels over eight years in an orbit tracing a five-petaled figure among the stars. Energy healers, shamanic practitioners and meditators who wish to link their own energy to the Divine Source of Love and Light and Creative Form that structures and energizes and sustains this material creation can call upon Lady Venus and the Great God Pan while performing energy work, meditation or shamanic healing using the Star of Venus pendant, and the pendant will transmit and amplify the stream of energy from that Divine Source many fold, empowering the work in a very beneficial way. In the Western wisdom school tradition of Esoteric Wisdom, the five-pointed star is associated with the birth of the Higher Self. This is undoubtedly connected to Kabbalistic scholarship concerning the nature of the five elements, Yahweh and Yeheshuah, also known as Jesus Christ. Yahweh, also known as Tetragrammaton, the old Teststament God of the Jewish people, is represented in the Kabbalah by four Hebrew letters, Yod, Heh, Vau and Heh. Thus the name of God is YHVH, Yahweh, or Jehovah. The four letters of the name of God correspond to the four Hebrew letters associated with the four elements, Fire (Yod), Water (Heh), Air (Vau) and Earth (Heh). Christian Kabbalists discovered that by placing the Hebrew letter for Spirit or Divine Fire, or Universal Life Force Energy (Shin) in the middle of the name of Yahweh, one creates the name Yeheshuah, or Jesus, YHSVH. Esoterically, this represents the role of Christ, who infused the material world of the four elements with the Divine Fire of the Holy Spirit through his life, death and miraculous resurrection. Christian Kabbalistic healers use a very special mantra for healing and protection that utilizes the secret Hebrew names of God and Christ. This mantra is as follows: "Yod, Hay, Vow, Hay; Yod, Hay, Shin, Vow, Hay" (YHVH, YHSVH). Simply repeat this mantra over and over silently or out loud, and you will gain protection from all negative energies and thoughtforms and all dark influences in all three worlds. By saying this mantra, by repeating these words of power, while meditating with the Star of Venus pendant, or by using this mantra when performing energy healing work, the practitioner will unite the lower mind with the Higher Self, and create a flow of healing energy that springs from the Source -- the living Christ Consciousness and the Holy Spirit, elevating the power of the spiritual work being undertaken, and insuring that the work is performed for the best and highest good of all concerned. You can read more about crystals in our article "Using Quartz Crystals in Digital Technology, Healing and Meditation". Note: Weight above is shipping weight. 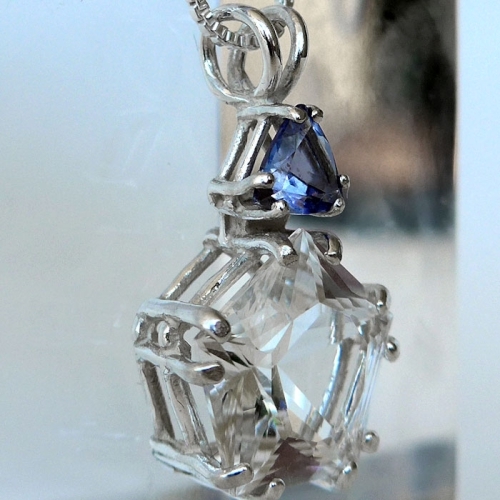 Actual average weight of this pendant is .20 oz with chain.